I love to read. I am not a romance or fiction reader though. I prefer leadership, business, motivational, success, personal development or autobiographies. I like books that make me think, inspire me, motivate me or teach me in some way, shape or form. I very much believe that leaders are readers and learners are earners especially in the business world. I have shelves, drawers, baskets full of books. I have about 80 books on my Kindle app so far. I have probably only read about 20% of all those wonderful books though. I want to read more. I pick up a book and read a chapter or two then get distracted. I have started reading countless books and never finished them. One of my goals for 2014 was to read more. Specifically to read more of the books I already own that are just collecting dust. In the first half of the year I did not accomplish much towards that goal. Lame excuses could follow that sentence but there’s no point in making excuses. All of life is about choices. 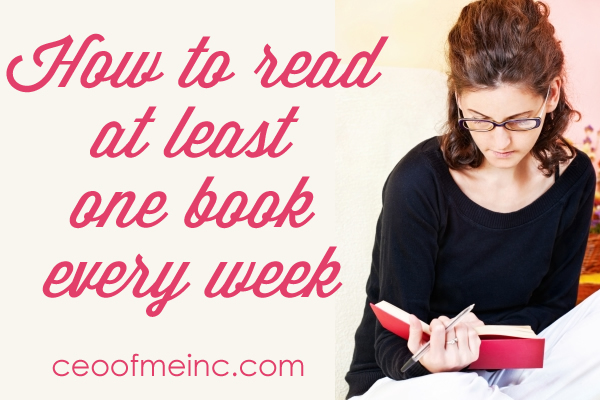 Last week I chose to begin working towards reaching that goal of reading more. I always thought I just didn’t have time to read as much as I really wanted to or to finish that book. What I realized was that I was reading a lot every single day, every single week. The problem was that I was reading way too many Facebook posts, tweets and pins. How easily it is to get distracted scrolling through your Facebook feed, checking out everyone’s life and all the fun content. Yes, some of the content is helpful, beneficial and worth reading but most it, well I can live without reading it. In the past 3 days I have read 2 books and started on a third that I have in my Kindle Library. Every time I catch myself scrolling, scrolling, scrolling through Facebook or another social media site or turning on the TV, I pick up a book (or turn on my Kindle app). I make myself read a chapter or two instead. Yes I still check social media and watch some TV but I’ve been amazed how much more I can accomplish when I unplug from social media. I figure if I am going to be filling my head up with content it should be more beneficial to my life and my business. You can also schedule time to read, make it a habit, a ritual. Spend the last 30 minutes of your day reading something encouraging or uplifting. Read a chapter or two on your lunch break or while waiting at the doctor’s office. Read a chapter or two before you go to bed or when you wake up. Even if you don’t own a Kindle , you can get the free Kindle app on almost every device you own and even on your computer so you can always have books with you. It does help that I am a pretty fast reader. I’m not an award winning speed reader but I can read pretty fast. I am also good at skim reading: picking up the key points and skimming past the fluff. What about you? Do you read a lot or struggle to find time to read? I encourage you to turn off the computer or smart phone or TV and spend at least thirty minutes a day reading a book that motivates, inspires and rejuvenates you. It’s good for you mentally and physically! PS if you are direct sales or party plan consultant, you might like my post with 12 Books every Direct Sales / Network Marketing Consultant should read.